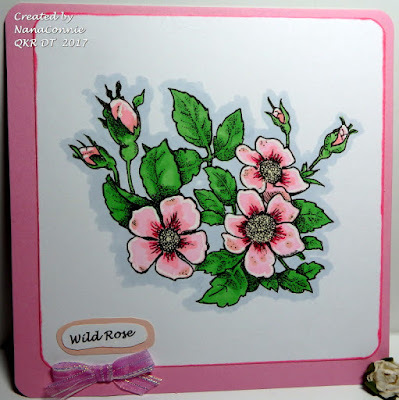 I colored with ProMarkers and cut it with a die by Spellbinders. 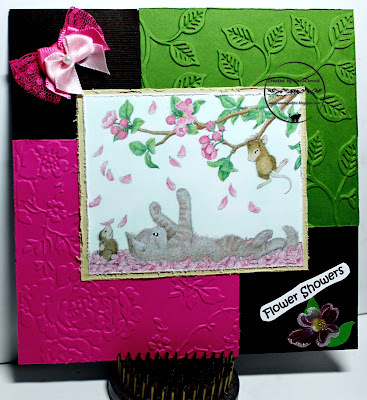 Absolutely everything else on the card was made from scraps, including the embossed piece (Darice) and the both patterned papers. The pink ribbon was a scrap and the white bow was in my stash, waiting to be used. I personally have three dies for cutting box shapes; one gives me a 1" x 1" x 1" box, perfect for one piece of fancy chocolates; another gives me a 4" x 4" x 2" box (for which I've found very little use); and the third gives me a 2.5" cube. 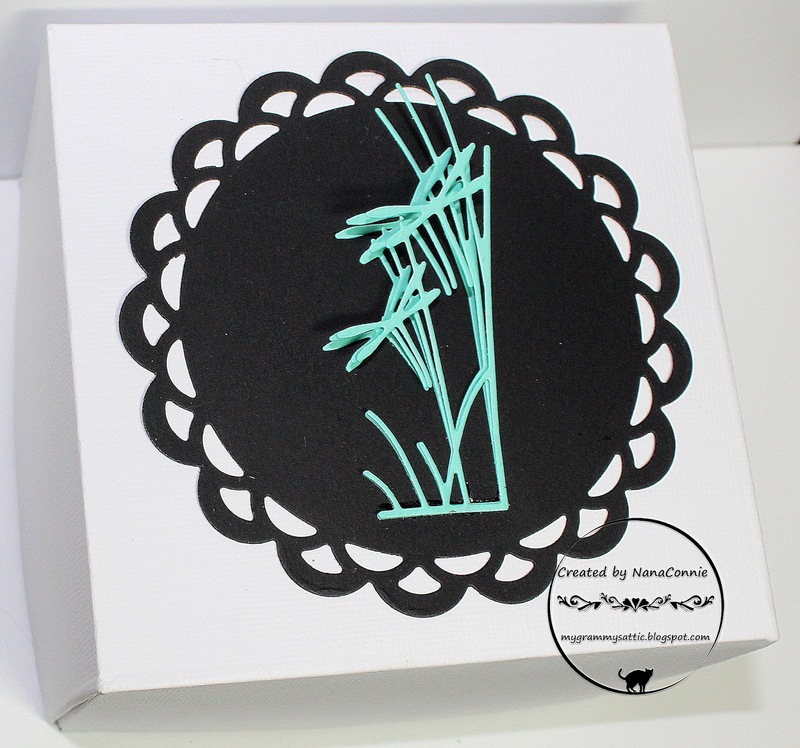 I was wandering through my local craft store about a month ago and saw a Box Maker which allows you to make boxes of all shapes and sizes with a few simple score lines -- limited only by the size of card stock available to you and your imagination. Today, I'm showing you one I made which is 5" x 5" square and 4.5" deep. I'm just so excited about this because now I'll have boxes for the hand made Christmas ornaments I make every year for all the kids, kids-in-law, grandkids, and great-grands! I used two sheets of heavy white CS to make the box pieces (one top and one bottom which fits inside the top) and used double stick tape to adhere the box corners. 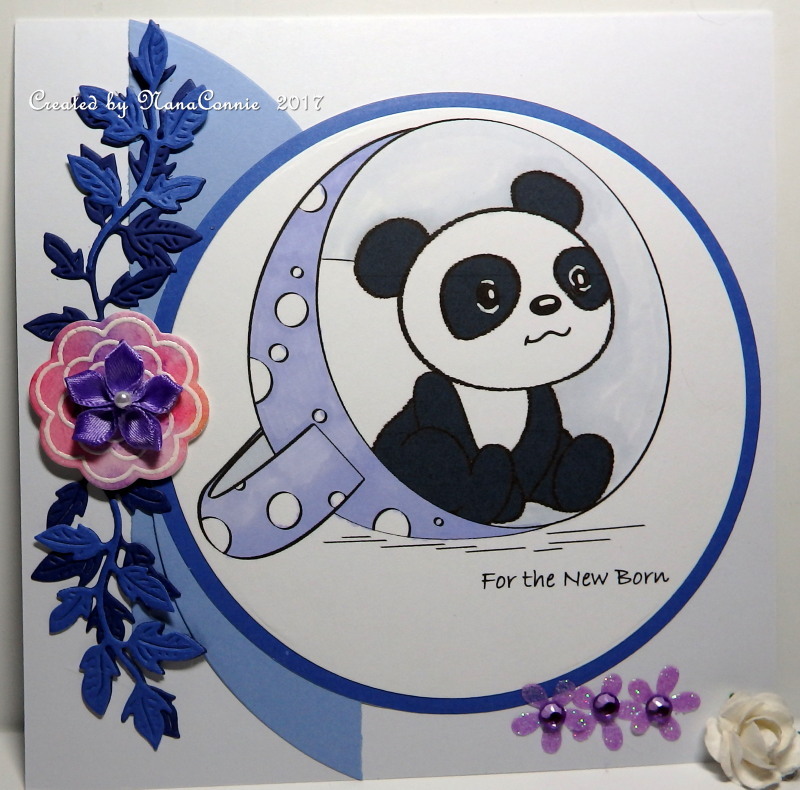 I decorated the top with a black scalloped-circle which had been die cut (Spellbinders) and added three layers of the dragonfly die cut (Memory Box) on top of it. My first early strawberries, started in seedling pots indoors in February, were ripe enough to pick today so I had a couple sliced up on my cereal this morning! 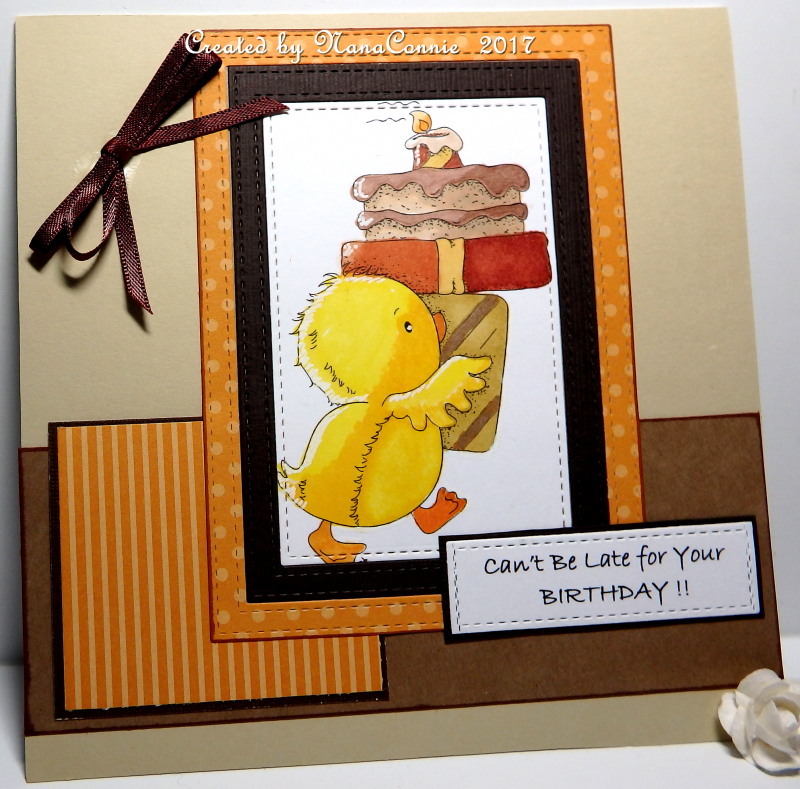 Then I went directly to the craft room and made this card with a delightful image from MHK Designs. I wanted something completely CAS with no embellishment at all. I colored the image with my watercolors and inked the edges with ProMarkers. 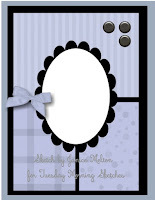 There was already so much white space around the image that I used two different papers around the edges of the card front before adding the image. Another Friday and another challenge starts at QKR Stampede. We're always "Anything Goes" but we also give you an optional twist if you want to use it and our twist this week is "Birthdays." 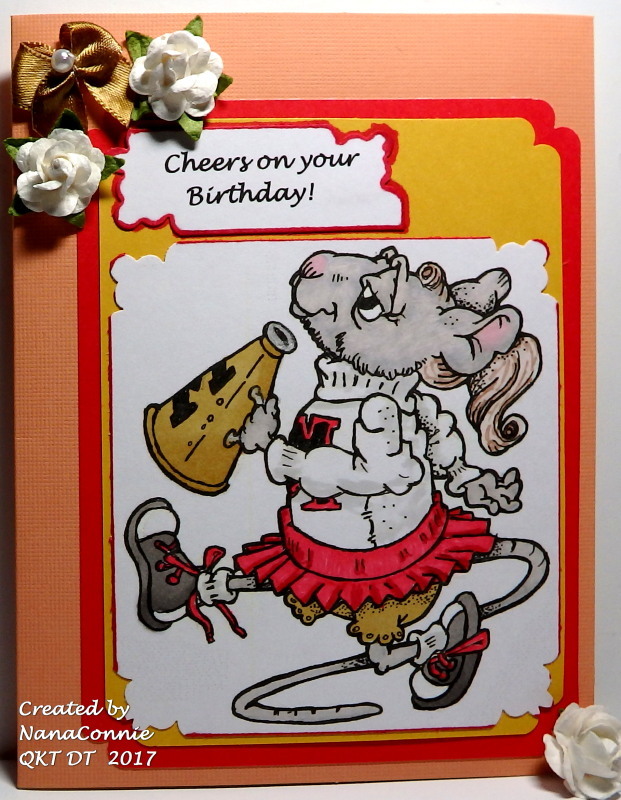 I used an image from QKR called "Cheerleader Mouse." 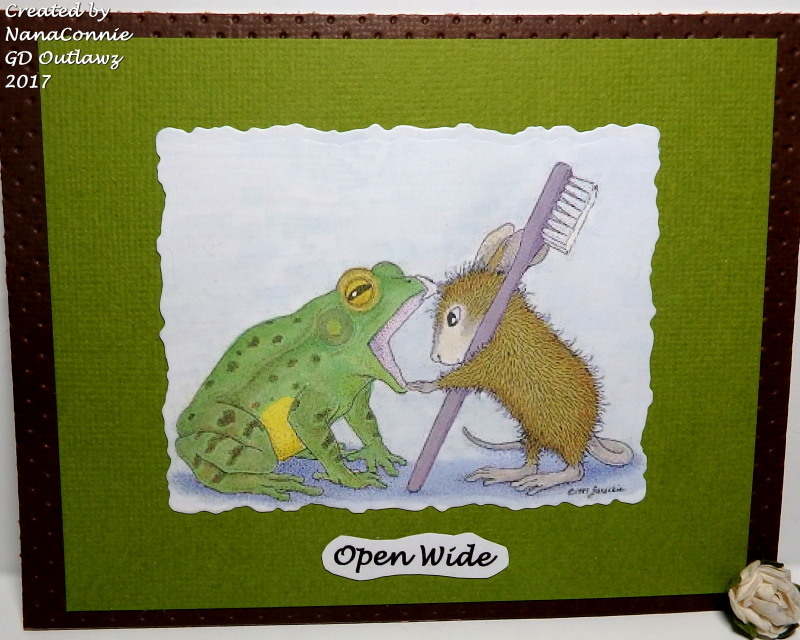 I colored with my ProMarkers, then cut it into a square and used a corner punch from Fiskars. The gold and red mats are cut with dies from Spellbinders. I printed the sentiment and used the same corner punch on it, inking the edges afterward. I added the roses and the gold bow (it had been white but I 'dyed' it with a ProMarker) and called it finished. That's one more birthday card for my stash this year. adjusting it from square to an A2 size rectangle. I used my ProMarkers to color the image, then cut it into a simple rectangle and matted it. The frame is cut with a Gina Marie die and everything is mounted onto a black card front. 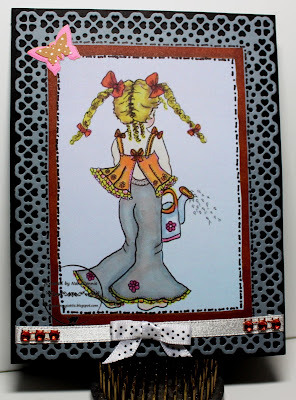 I added silver ribbon to the bottom with a polka dot bow. I did faux stitching on the image and on the frame. I added a double-layer, die cut butterfly, and a few gems on each side of the bow. The almond trees in my neighbor's yard have all lost their blossoms and her side yard is so white it almost looks like snow. That would be nice since we've just had two days of 101 and 103 degree temperatures! Doesn't the weatherman know it's still a month 'til summer? What's going on?!? I colored it with watercolor pencils and ProMarkers, then cut it with a Spellbinders' plain rectangle die and distressed the edges. I matted it with beige CS and distressed the edges of the mat also. I added the two embossed pieces and put everything on a black card base. The pink "butterfly" is made from three, hand-tied, little bows; two are satin ribbon and one is lace. I sewed them all together to make the butterfly, and used one tiny pearl in the middle of the top one for the butterfly's head. I dug through my jar of flower embellies and found the one I put in the lower corner, just below the sentiment. For some reason it looks deep purple in the photo but it's actually pink and has a glittered brad center. I colored the image with ProMarkers and a touch of sparkle gel ink on the glass jar, then cut it with a square, stitched die from Lawn Fawn. I framed that with a leftover piece which had been cut with a die from Spellbinders. I put all of that onto pale green dp and added a border of orange polka dot dp to 2 sides of the square. 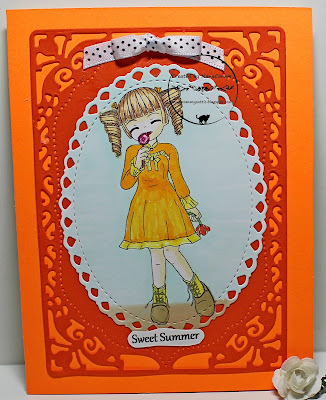 I found some complementary orange striped ribbon which I wrapped around the card front and then added the single butterfly embellishment (Cheery Lynn die.) The sentiment is rubber stamped. This is an image I've had in my collection for a while but I can't remember ever using it. It came from Rick St. Dennis (Sparkle n Glitter) and it seemed perfect for doing a "Spotlight Technique." I started with two of the images, leaving one completely black and white and coloring most of the second one with my ProMarkers. I really love subdued shades of pink, green, and yellow for vintage cards. 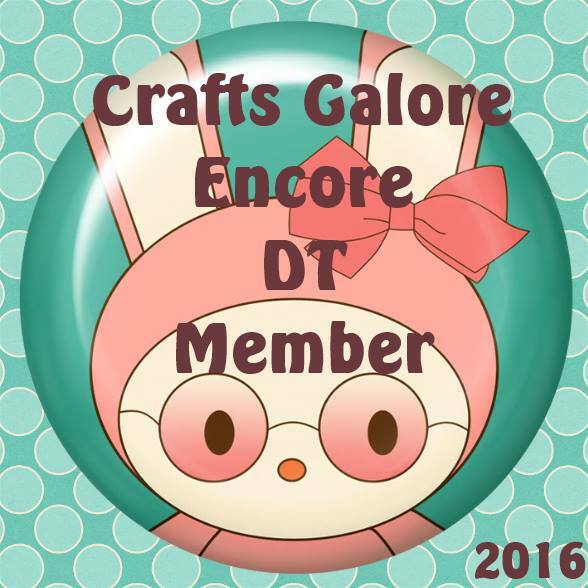 I used one of my diamond shaped dies from Spellbinders to cut out an angled section of the colored image, but I trimmed that to make it narrower than the die shape. I matted that colored piece with a double layer of sandalwood CS to give some dimension and texture, then layered it onto the black and white image, lining it up with the image below. I matted the white image piece with some green CS and wrapped that with pink and green polka dot ribbon. I used my bow maker to tie a 5-loop bow using two different ribbons. 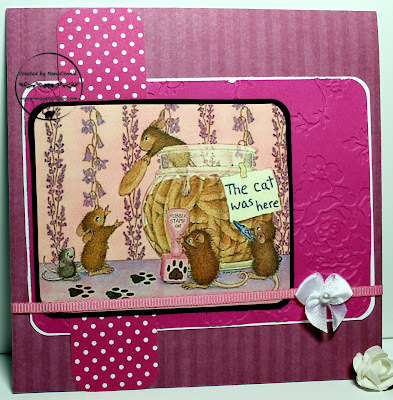 All of that went onto a pink card front. I added a die cut butterfly (Cheery Lynn) and put pearls on it's body and also on the lower corner of the card. 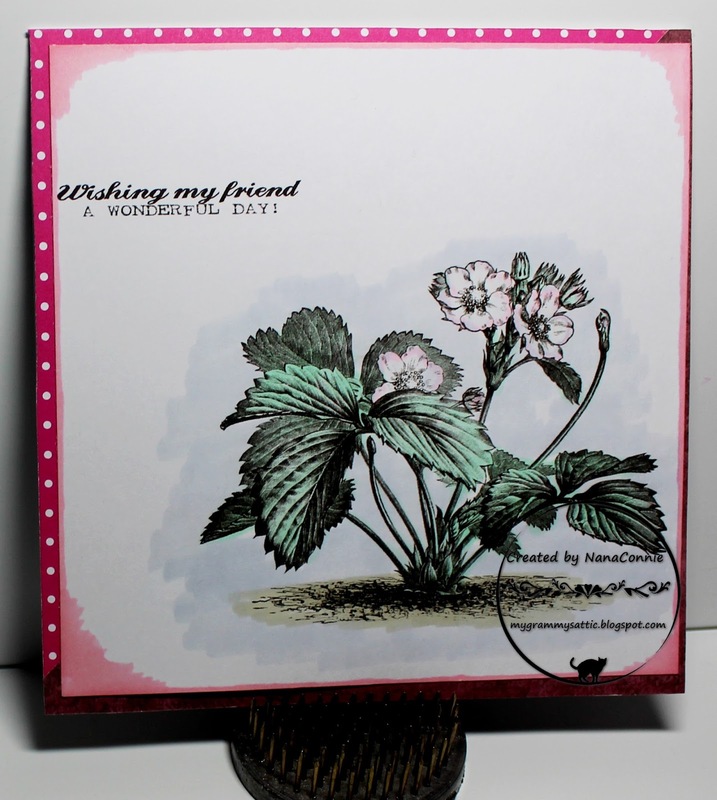 I certainly have been on a sea foam green kick this week but it just works so well for this image from the Sasayaki Glitter FB progressive challenge. Need I say that I've been humming "Under the Sea" from Disney's 'Little Mermaid' every since I first saw it? This time I colored the image with chalk markers and I used regular chalk to color the water. I also added glitter ink to the bubbles for a touch of sparkle. I used a Memory Box stitched, scalloped die to cut the image and each of the three background pieces. The sentiment is printed, hand cut and matted, then hand cut again. The starfish and the octopus (don't you just adore her little bow?) have been in my collection of embellishments for a couple of years and this just seemed to be the perfect place to use them. They are actually buttons with the shanks cut off the back. The fact that they're 3D adds some wonderful texture, too. When a 9 year-old loses his canine best friend, there's little that will console him other than time. But his Grandma wanted him to know that she was thinking of him so she asked me to make a card. Since I had the perfect QKR Stampede image and sentiment, I used them to make the card for her and to use as my DT card for our optional theme this week, "Things with Wings." 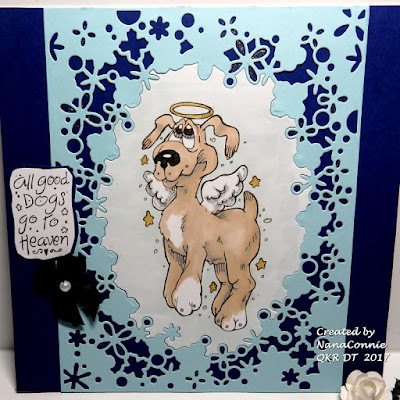 The image is called "Angel Dog" and the sentiment is called "All Dogs." showcase the detail in the die cut. The framing die is also from that same Memory Box set. Although you can barely see the sparkle, I used a glitter pen to color in some of the stars (flowers?) and, IRL, it makes the background look more like sky. I added a dark, midnight-blue bow. 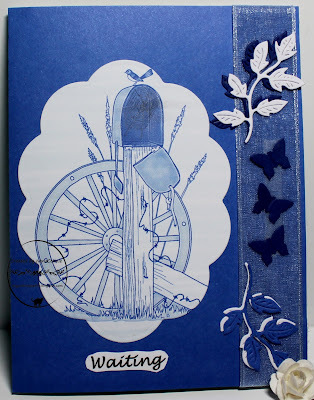 Because that die was so detailed and because this card is for a boy, I left off any other embellishments. I printed and matted the sentiment and added it just above the bow. The image came from Limited Runs for their Facebook progressive challenge this month. I thought it was hysterical ! :-D Naturally, the sentiment is all mine. 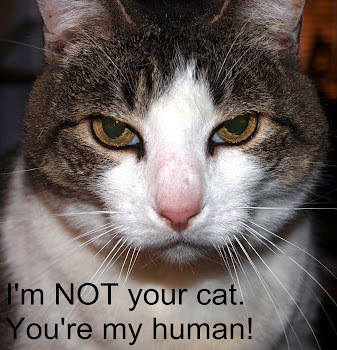 I'm using this for a birthday card for a gentleman who claims he's going to outlive all of his friends and family so that nobody can fight over his estate. I love that idea! 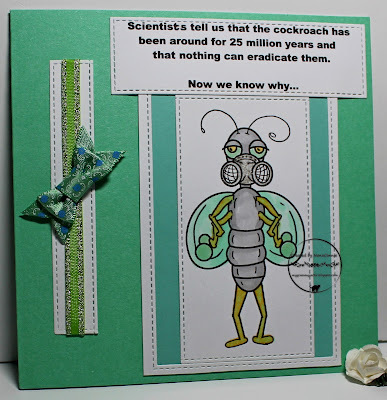 Maybe he'll take some inspiration from this silly card and shoot for 25 million years! 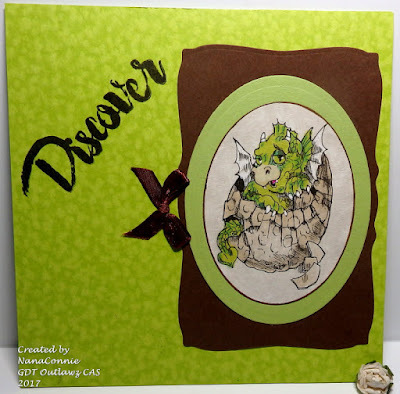 Colored with ProMarkers and cut with a stitched die from Die-namics. The die I used was a rectangle die but wasn't as narrow as I wanted so I just cut the image once, then moved the die over to one side and cut it a second time to get it as narrow as I wanted. The larger rectangle frame is the actual size of the next bigger die in the set. I cut that one and added turquoise CS behind it, then layered on the image piece. I did one more really narrow die cut, wrapped it with ribbon, and added one of my bow tie bows. 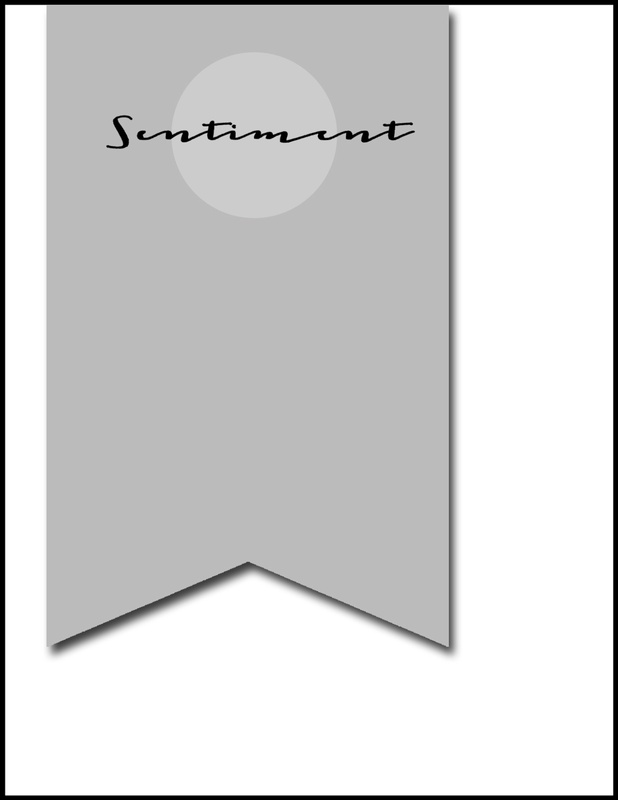 The sentiment was printed and die cut with another stitched die from that same set, again adjusted to make it the width I needed. 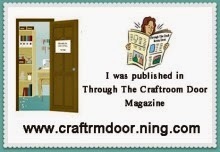 All of those stitched die cuts were cut from scraps waiting to be tossed into the round file. The turquoise CS was also a scrap. It's time for the latest Progressive challenge at Dragon's Lair and I think this image of a 1920s Flapper is marvelous! I had three ProMarkers, one blue, another very dark green, and the third was "Almond" which I used for her skin. All shading was done by adding more layers of the same color. 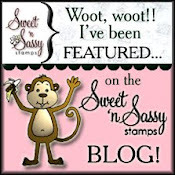 I had a rubber background stamp and a green ink pad so I inked up the stamp, stamped it a couple of times on a scrap of paper, then stamped it directly over the colored image for some visual texture. 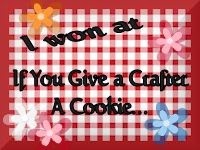 I love that so much, I'm going to try that again on other projects. The two shades of CS came from scraps which were on my desk and I cut them with a die from Spellbinders which hadn't been put away from using it for another card I made over the weekend. 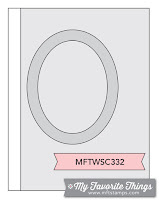 Since I only had that one die, both of my die cuts are the same size and I layered them together by offsetting them. The green strip which looks a bit like ribbon is actually another scrap of CS but I used it as ribbon, adding a small bow which had been white but I "dyed" it with the blue ProMarker. Finally, I had a few white daisies which needed to go back into the flower embellies jar so I put one of them onto the corner. Let me start by wishing all the Moms out there a very Happy Mother's Day! We all know that dental checkups are very important but how many teeth do frogs actually have? 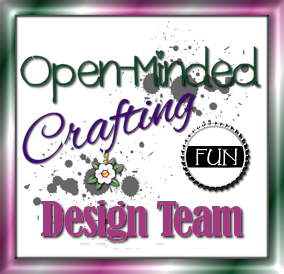 This is my second week as a Guest Designer on the CAS challenge at The Outlawz and the theme is "Use a Frog" in your design. I had so much fun with this one, using one of my favorite images from House Mouse to make a fun, CAS, masculine card. because cleaner seemed more masculine. 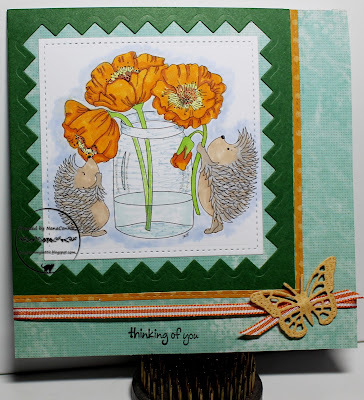 The image is colored with pencils and gamsol, then cut with a die from Spellbinders. 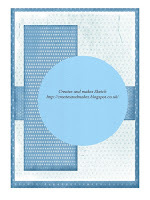 I layered that onto a scrap of green CS which I had run through my "Linen" embossing folder before adding the image. 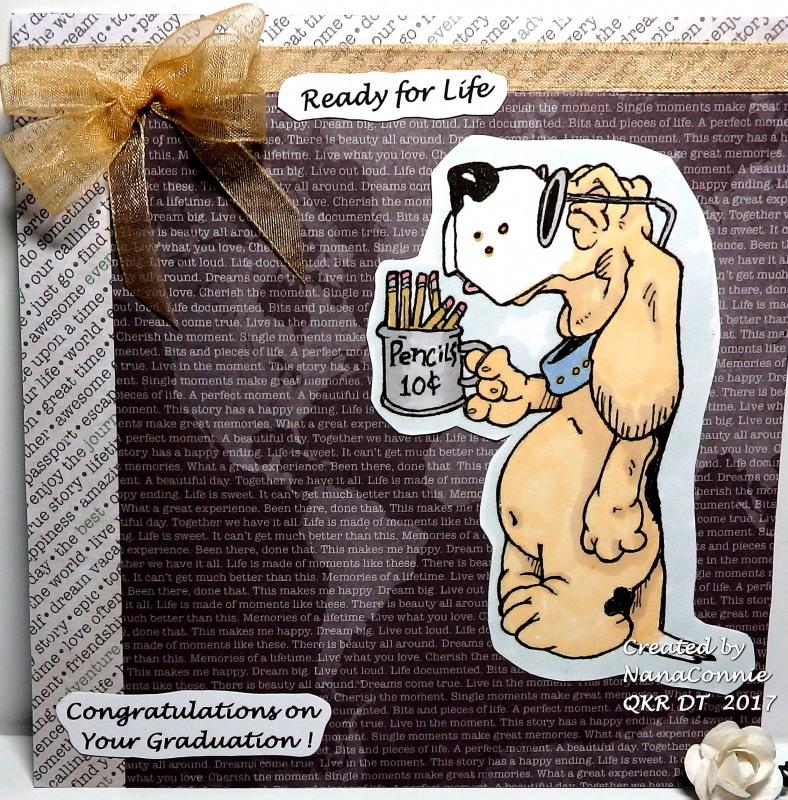 I added those to a piece of brown CS, embossed with my Swiss Dots folder. 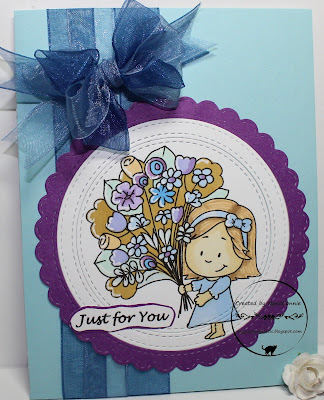 The embossing adds lots of great texture without being 'fussy.' I added only the printed sentiment (another scrap saved from the dust bin) rather than any embellishments, leaving it very CAS, as I mentioned before. I got an image a few weeks ago from Beccy's Place and am so in love with it! In a way, it's kind of sad and nostalgic because happy mail so rarely arrives in our actual mailboxes anymore. Everything is email or text message, or the occasional fax (and even those are dying out!) I've done half a dozen cards with it, using different color combos each time and you'll see two or three of them over the next couple of months. This first one is done in monochrome blues. My Favorite Things, flipped side to side. I used watercolor pencils and ProMarkers to color this one, then cut it with a die from Spellbinders. I also cut the blue background with the same die and inlaid the image into it. 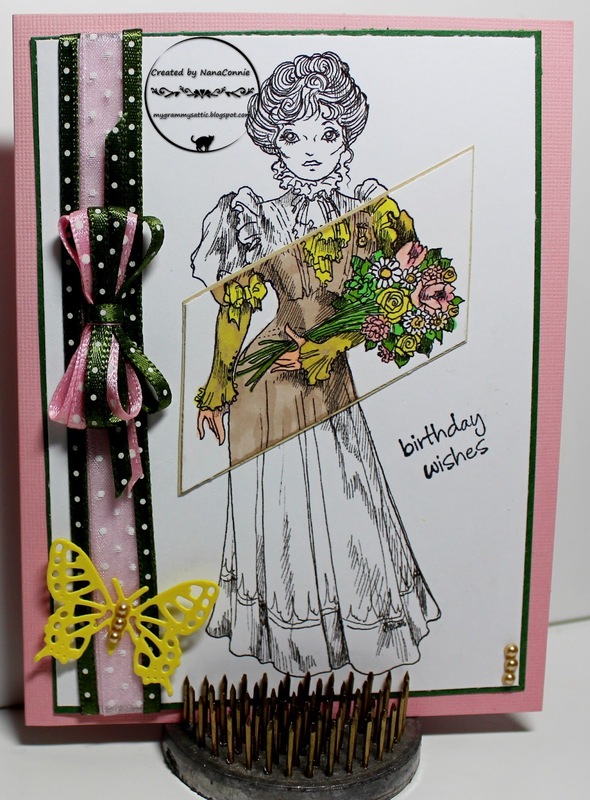 I added the sentiment and then wrapped the card front with sheer ribbon. 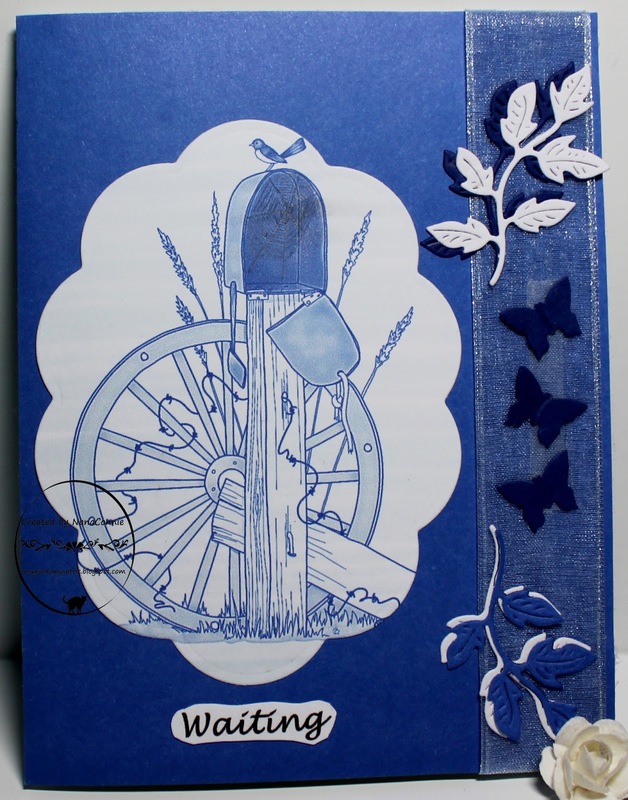 The butterflies are cut with a die from Press Cut and the leaves are die cut from three different shades of blue CS (Cheery Lynn die.) That Cheery Lynn die is probably my favorite small die of all time. I remember being concerned about the cost of it when I first debated buying it because, up to that point, I had pretty much only used framing dies. I decided to order it and I think I have used it more than any other small die I own. Why did I even hesitate? lol Once I tried using it on something other than green CS (being so literal minded at that time), I discovered exactly how versatile it is, not only with flowers but by itself or layered with multiple shades as I did here. It's a new day and a new challenge this week at QKR Stampede. Our theme, as always, is "Anything Goes" but we also give you an option if you choose to use it. 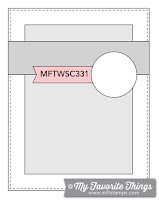 This week the optional twist is "Graduation Cards." 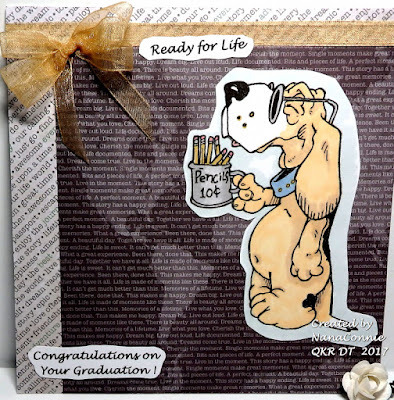 The image I chose may seem a bit odd for a graduation card, but this plays into a running joke with a dear friend who is completing her grad school work after a 29 year hiatus from her undergrad college days. I'm very proud of her for completing her Master's degree since she is now in her mid-50s. When I asked her if she would be ready to take on life now that she's graduating, she said, "If nothing else presents itself, I can always put on dark glasses and sell pencils on the corner!" So this seemed an appropriate image for her graduation card. The image is called "Blind Dog." I used my ProMarkers to color the image and then fussy cut cut it. I dug through my stash of scrap booking papers, found two I thought worked well together and used them for the background. I used sheer ribbon to wrap around the card front and to tie the triple bow. 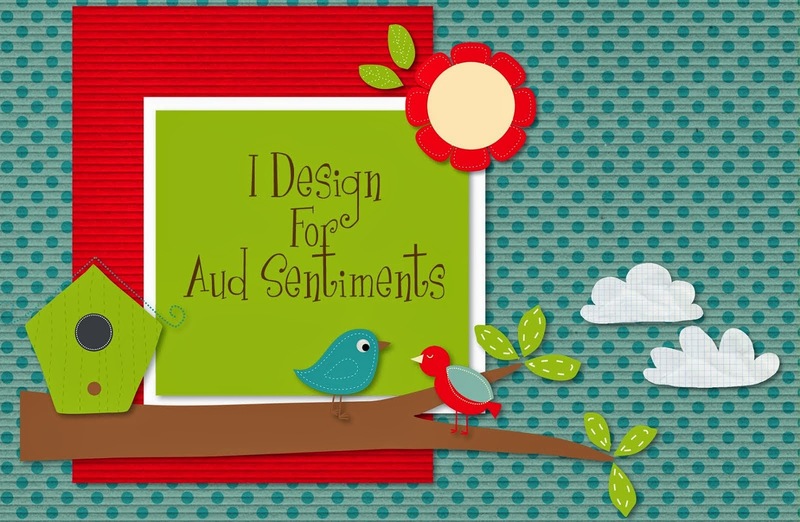 Each sentiment was printed and hand cut before applying them to the card. Come play with us this week. Remember, while you can use any image from any company, if you use a QKR image or one from our sister line, Eureka, your card will be put into a separate draw just for them and your chances of winning will be increased significantly. Today's card has a fantastic image from Fabrika Fantasy and a long story about how it got colored. 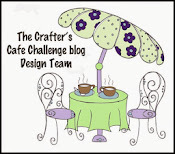 Pull up a chair, grab a cuppa, and settle in for a bit of a read. When I first started with this image (which I flipped side to side), it was pre-colored but when I printed it, the whole thing was just too dark. 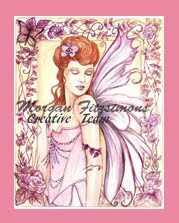 I printed it again on 'bright white' card stock and even then, it looked like this. So, I used my MS Word program to omit all the color in favor of a light gray-scale and printed that. Then, I dug out my Pro-Markers and polychromos pencils and colored the gray-scale image. I got all the fabulous shadings and highlights of the gray-scale without having to add them individually as I colored. I used the pre-colored image as a guide for what colors to use since I wanted to have my hand-colored image as close as possible to the colors in the pre-colored one but I have very little green in the lamp, my reds on his clothing are more of a rusty orange, and I used gray blues instead of royal blues. 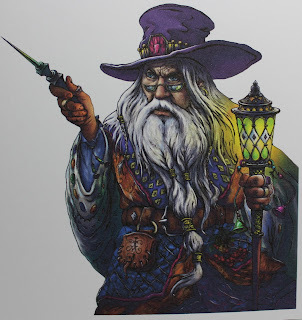 I used white gel ink on his beard and hair and in the brightest areas of the lamplight. I used this sketch from Mojo Monday. I had already spent so much time with the coloring process that I wanted to keep the card design pretty CAS. 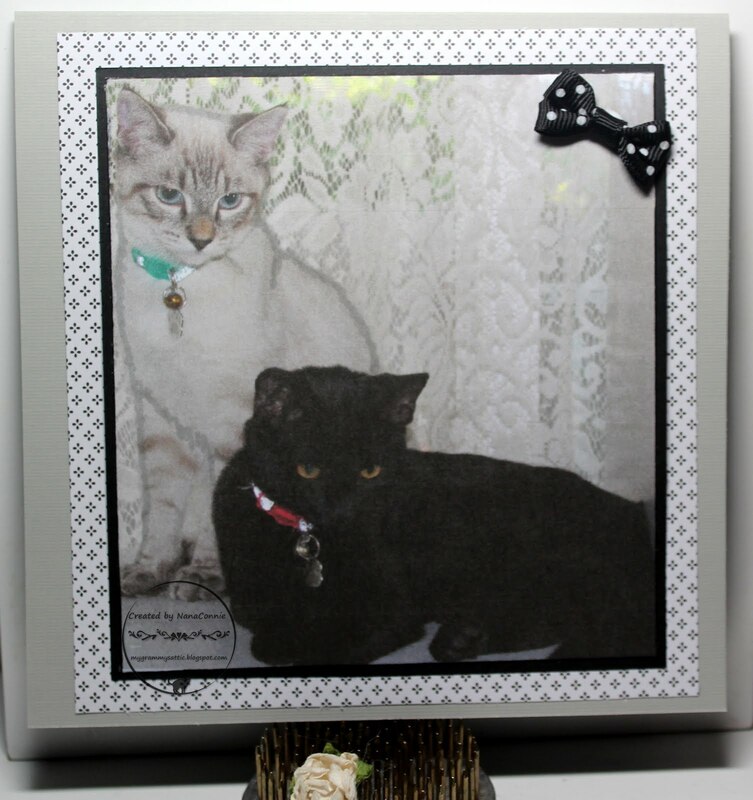 I added two different ribbons to the image piece after it was trimmed, and then framed the image with a leftover scrap of dp from my 12 x 12 scrapbooking paper stash. 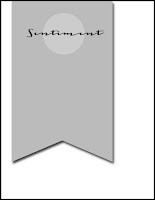 The sentiment was printed and mounted on a strip of ribbon, then I added one of the tiny bows which I sew by hand and toss into my stash for future use. Although my mom has been gone for more than 20 years, I still think of her every Mother's Day and, because I can't make cards for her, I make them for my daughter, my DIL and my GDIL in her honor. Love you, Mom. 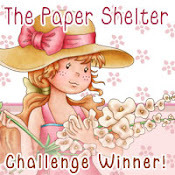 This darling image is from Gerda Steiner Designs and it's the image for the May Progressive Challenge. have to use 3 out of the 5. I used 4 of the 5. 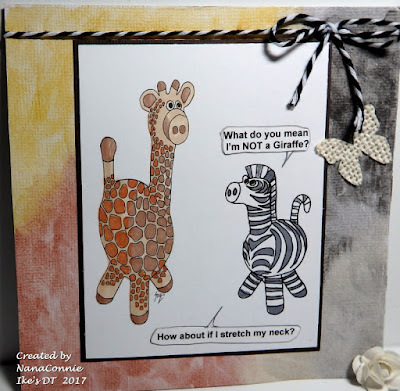 I used a combination of ProMarkers and chalk markers to color the image, then die cut it with 2 sizes of stitched circle dies from Die-namics. 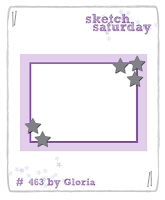 The scalloped stitched die I used for the purple frame is from Memory Box. I wrapped two different sheer ribbons around the card front, then tied a quad-loop bow using those same ribbons and my bow maker. Finally, I printed, hand-cut, and matted the sentiment before adding it to the design. 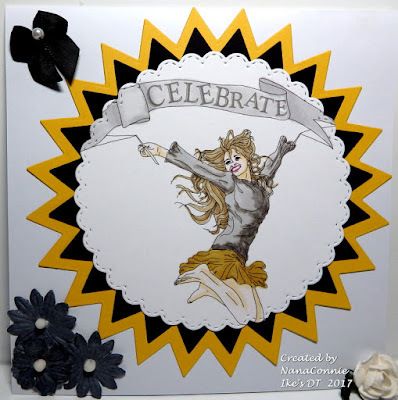 I decided on a basic black and white combo with a blast of monochrome gold for this card. I used my ProMarkers for coloring the image, and cut it with a stitched die from Memory Box. I framed it in black and gold with dies from a set by QuicKutz. I do love stitched dies. I think they are my favorites. They add such great visual interest and texture. 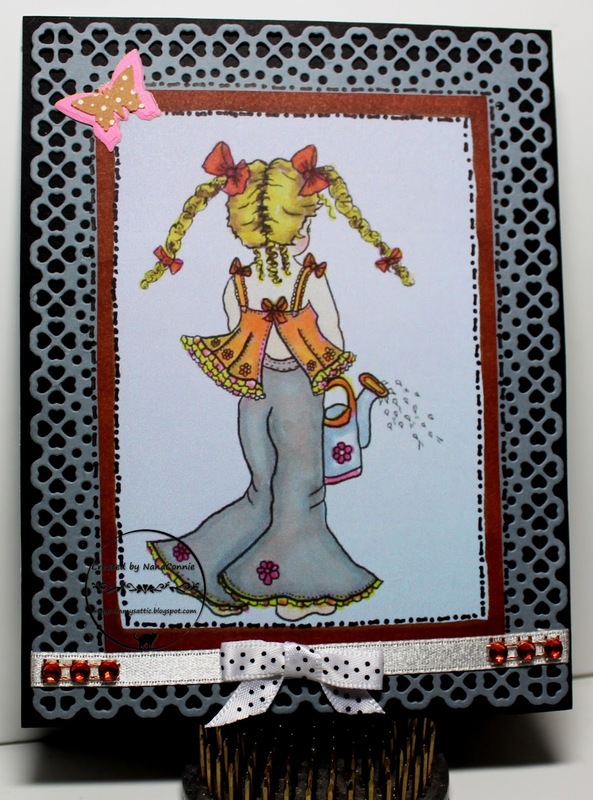 I put everything onto a white card front and added the black flowers and black bow. 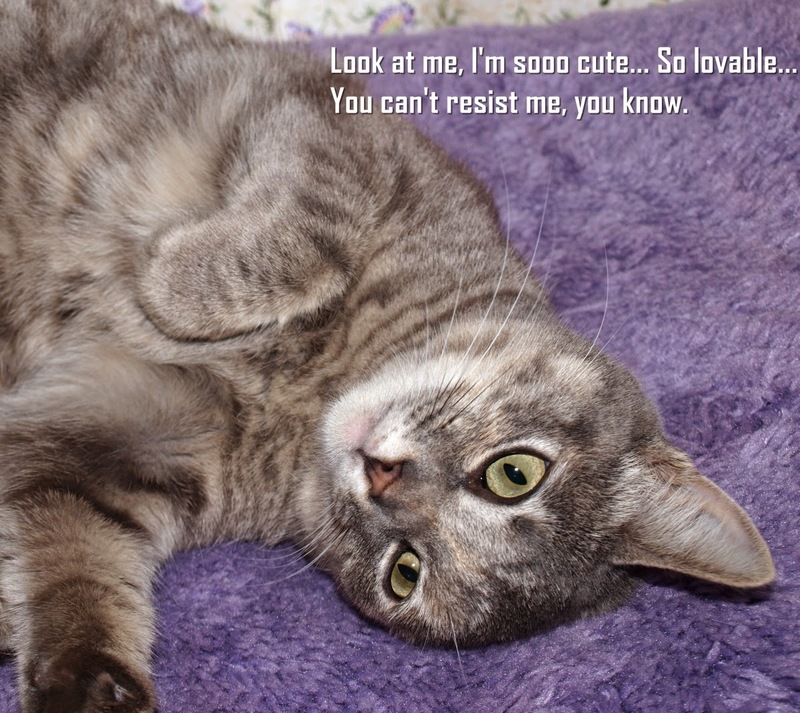 Pretty CAS but with an eye catching flair. I'm very pleased with it. 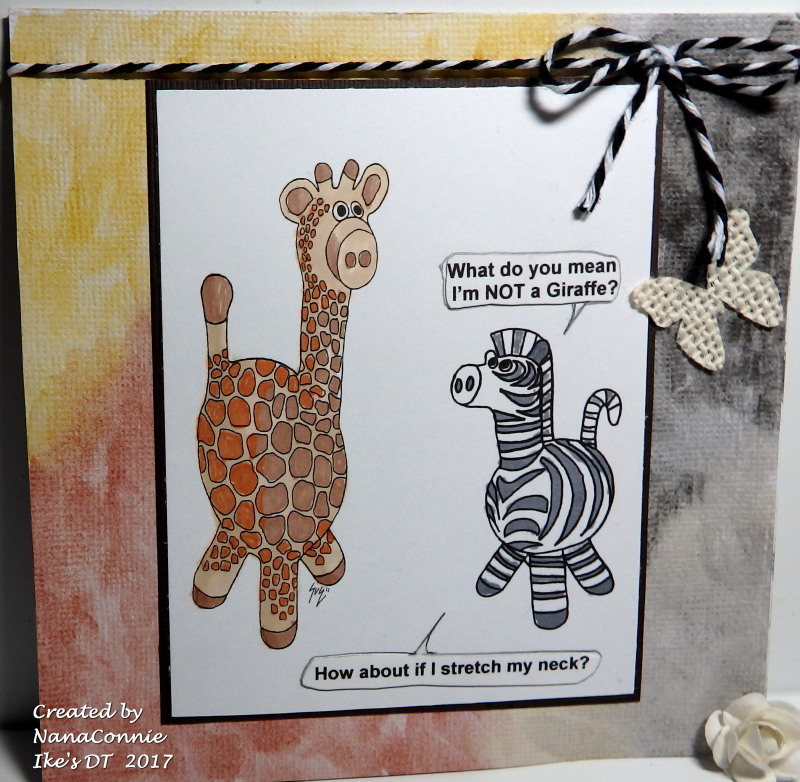 I have had such a hectic week this past week that I completely forgot to post my card I did for the Card Chain Challenge in April. 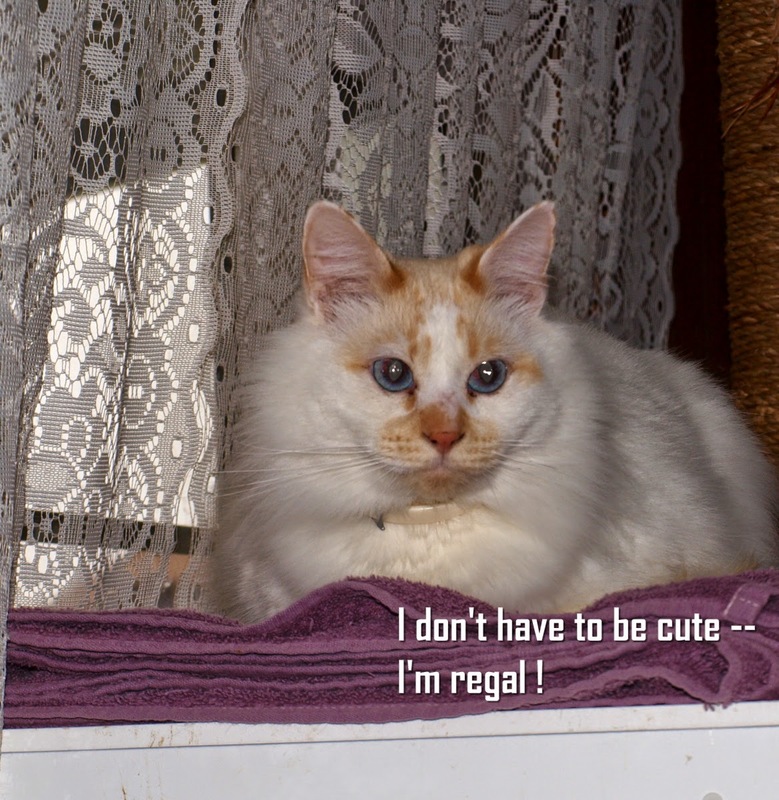 I was supposed to post on May 2 when they did the big reveal of who sent what to whom but that whole day escaped me. Maybe it was because I didn't have my post written and pre-scheduled, and the card had already been mailed so it wasn't in the stack of cards to be posted. In any case, here it is, late but not completely forgotten. 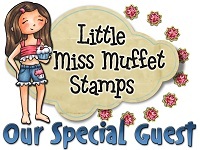 OR One of the following products: Perfect Pearls/Die Cuts/Stencils and Embossing Paste. I managed to do all four. 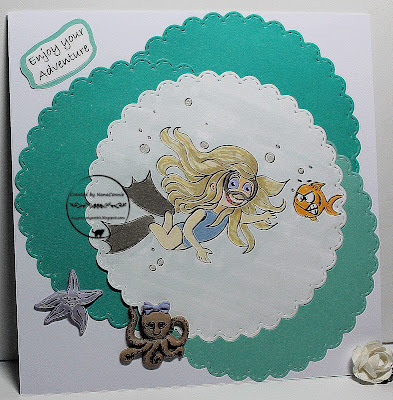 I hand colored the image with my ProMarkers, hand cut it and the mat, then used a Spellbinders die to cut the "fish tail" in the beige CS behind the image. 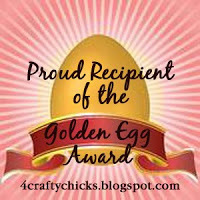 My blogger friend, Christi, (see her blog post with instructions HERE) showed me how to make that kind of cut. Thanks, Christi. A little ribbon, a few glittery flowers and it was ready to mail. 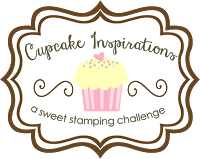 A couple of weeks back I was invited to be a Guest Designer on the Clean and Simple Challenge over at the Outlawz and I was honored by the invitation. It must have taken me at least 2 seconds (ok, nano seconds) to say yes! Every project has to be CAS but in addition to that this week, we are only allowed to use limited supplies so we have to make our own backgrounds. No dp! That darling dragon is from Rick St.Dennis and I colored him with ProMarkers and pencils. The background is made by dabbing heavy card stock with a cotton swab which had been dipped in bleach. It's a long process and it has to dry completely - overnight is best - before using it or the CS will begin to peel and shred on the bleached spots. I cut the image and the green frame with an oval die set from Spellbinders, then used another Spellbinders die on the brown frame. 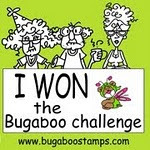 The sentiment was stamped and I thought it was an appropriate one for an encouragement card. I added only one embellishment - a tiny, brown bow. but I flipped it top to bottom and reversed it as well. 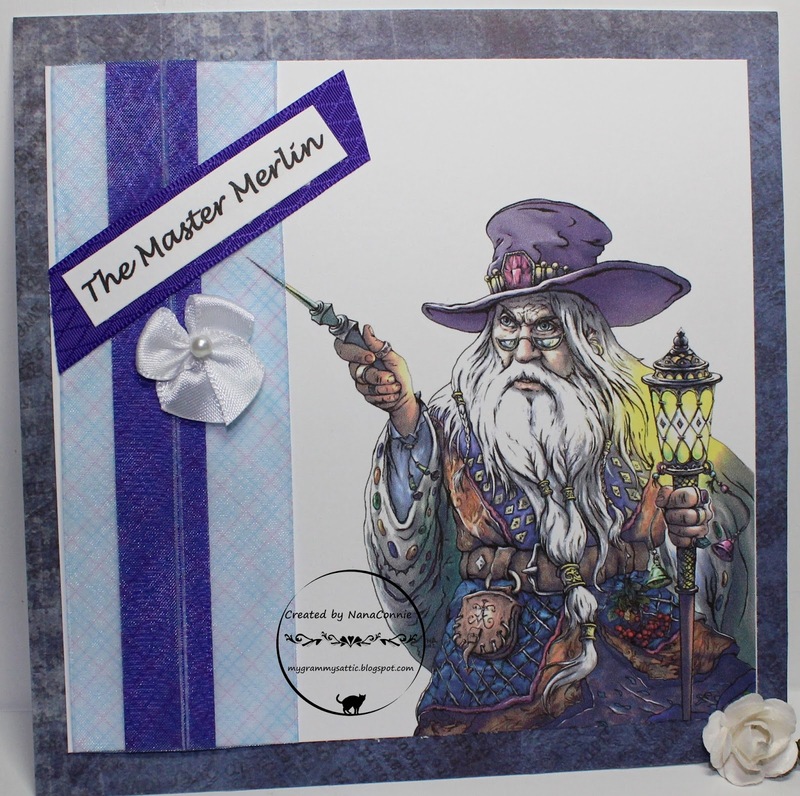 I colored it with my ProMarkers and cut it with a die from Spellbinders. I made a pink denim background by photographing an old pair of jeans with my new closeup lens. I printed the photo onto watercolor paper for a bit more texture and then tore some kraft CS for the bottom to go with the sand. I added gold satin ribbon to one side of the die cut frame and then tied two, simple, pink bows (no pearls this time) for a bit of embellishment. OK, I'm not actually heading for the beach. I'm staying home in the air conditioning to watch a live streaming of my granddaughter's National Cheer competitions in Florida. It runs over both days this weekend. I'm already aware of how tight the competition will be. One of the earlier teams I was following placed 12th out of 36 teams in that division and they had a "no deduction" score, meaning that they were technically perfect! The difference in total scores between 1st and 36th was less than 1.21 points (out of 100.) It feels like the Olympics where competitors are only hundredths of a point apart! You'll usually find me doing something with one of QKR's fun images, most often featuring a cute or crazy animal but for Mother's Day, flowers seem to be appropriate. It also gives me a chance to show off one of the gorgeous flower images they carry. 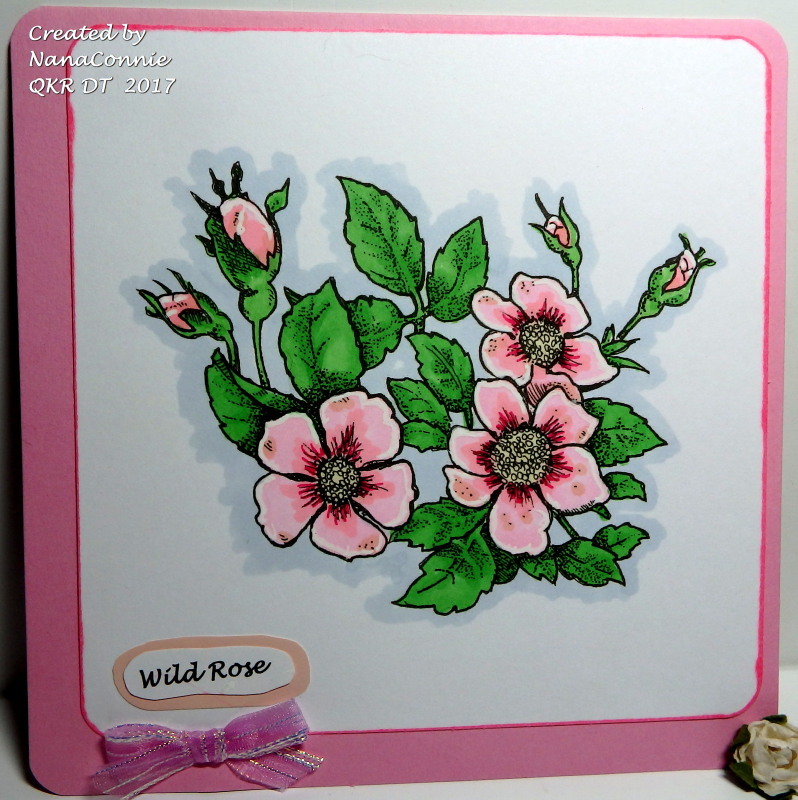 This one is called "Flowers" but it showcases wild roses and they were my mom's favorites. I used ProMarkers to color the roses and leaves, and a chalk marker to add the shadow behind it. 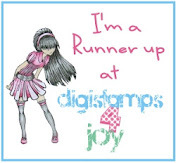 I cut the image with a plain square die from QuicKutz, then used a Fiskars punch to round the corners. I used that same punch to round the corners of the card. I wanted a very CAS design so all I did was tie a tiny bow with the last scrap I had of that sparkly ribbon, then I printed, hand cut, and matted the sentiment and that was it. 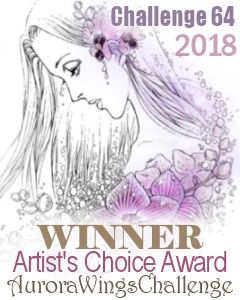 I'm playing in another Progressive Challenge, this time at Sasayaki Glitter (Facebook Challenge) and, for the month of May, everyone who played along last month got this darling image. I thought it would make a great new baby card. and made the vertical strip from half circles and leaves. I used ProMarkers to color the image, then cut it and the mat with circle dies from QuicKutz. The half circles were leftover snippets from a circle which I had cut up for another project. 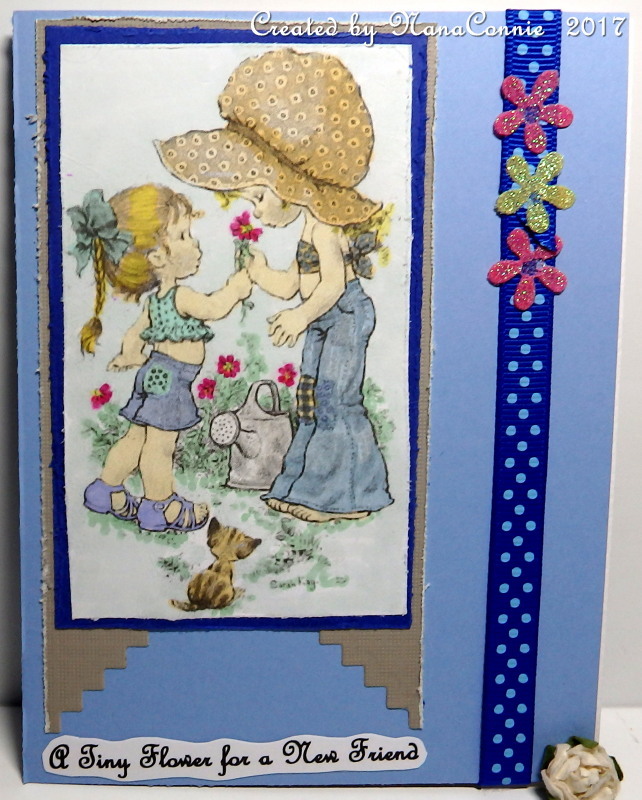 I used those for the vertical strip and then layered on the leaves (cut from more CS snippets with a Cheery Lynn die) and the flowers. The pink flower is heat embossed with white EP. I added three glittered flowers to the bottom and added gems for the three dots on the sketch. 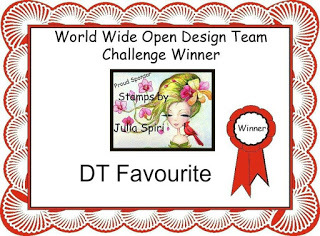 The latest Progressive Challenge has started over at The Outlawz and the freebie image this month is from Di's Digi Designs. 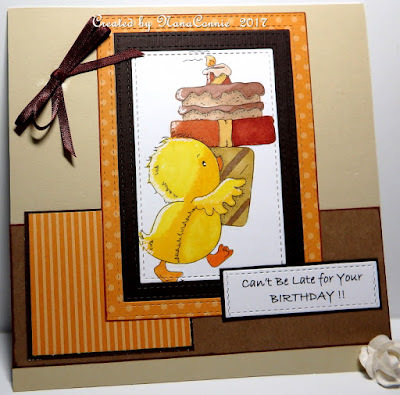 I loved it the minute I saw it and couldn't wait to use it so now I've added one more birthday card to my stash. 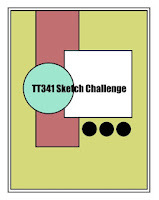 I based my card design on the sketch from Mojo Monday. and so I wouldn't cover up any of the image. 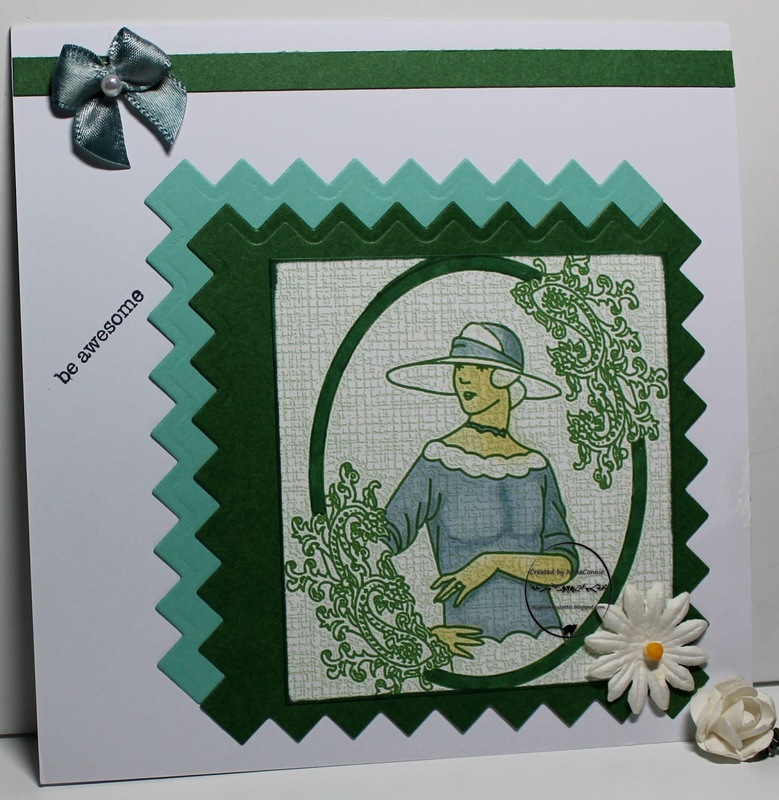 I used my ProMarkers to color it, then cut it with a double stitched die from Die-Versions. I cut the two frames with larger dies from that same set and those are not layers but insets. The orange papers are from Stampin' Up and the brown and beige are from my CS stash. I tied the double bow with 1/8th inch ribbon. 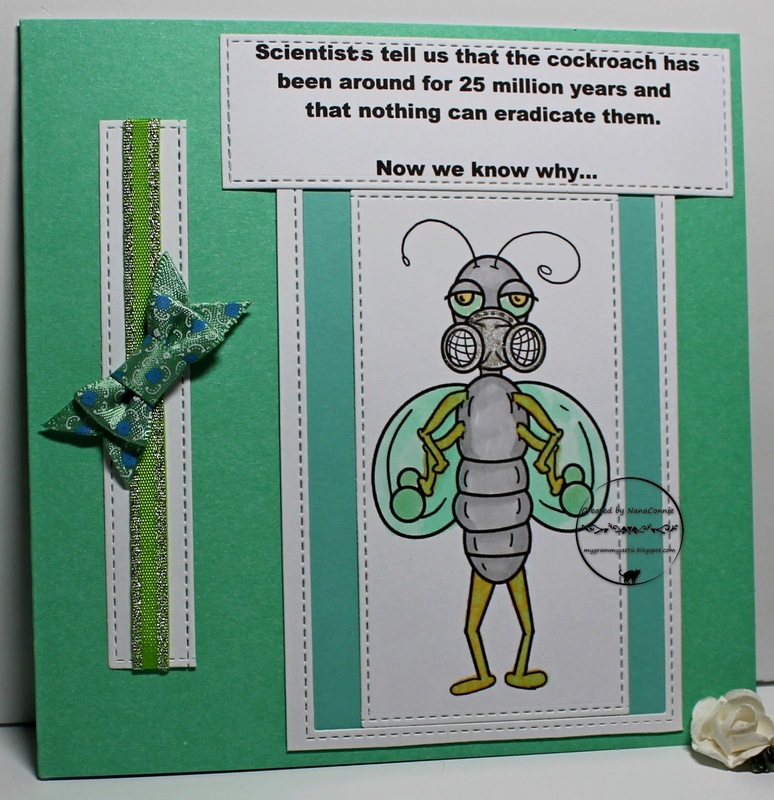 The sentiment was printed, die cut, and matted. Now it's ready for a special occasion birthday.